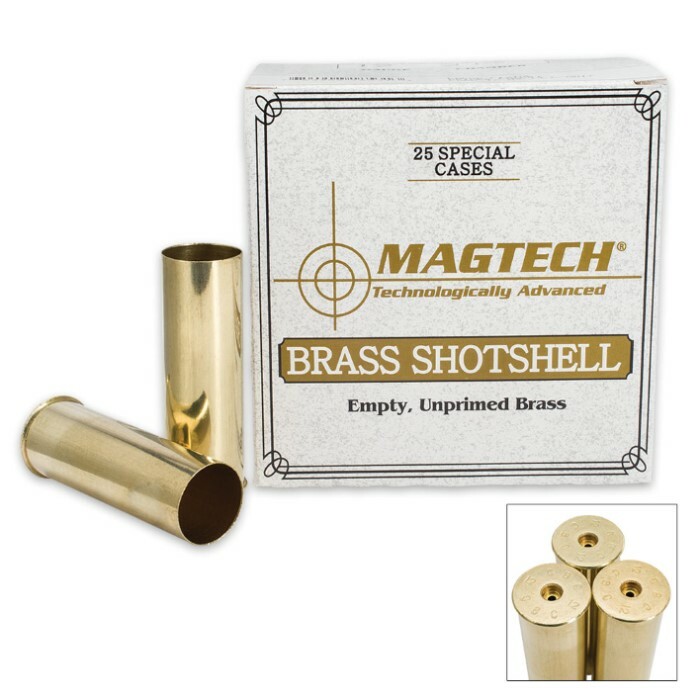 Magtech 12 Gauge Unprimed Brass Shotshell Hulls - Box of 25 | BUDK.com - Knives & Swords At The Lowest Prices! 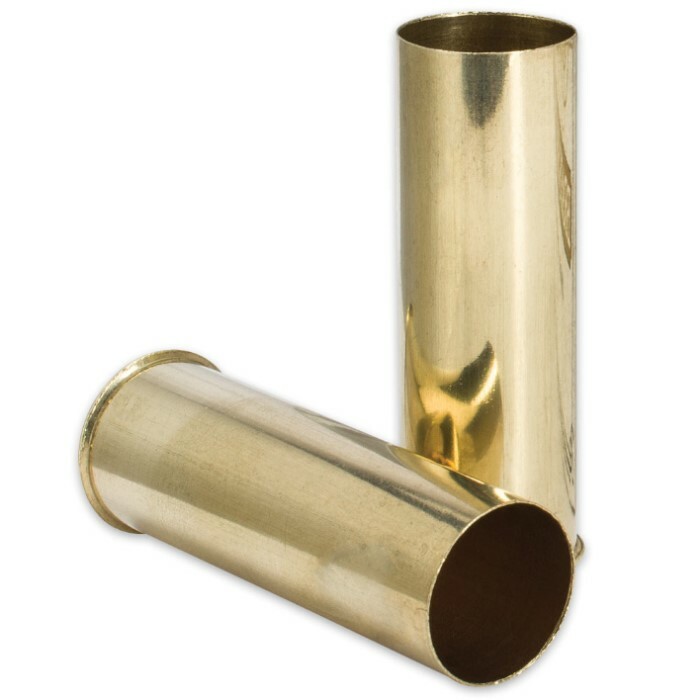 Magtech offers premium 2.45" brass shotshell hulls (intended for use in 2 3/4" chambers; additional info below) for all you do-it-yourself shooters out there. 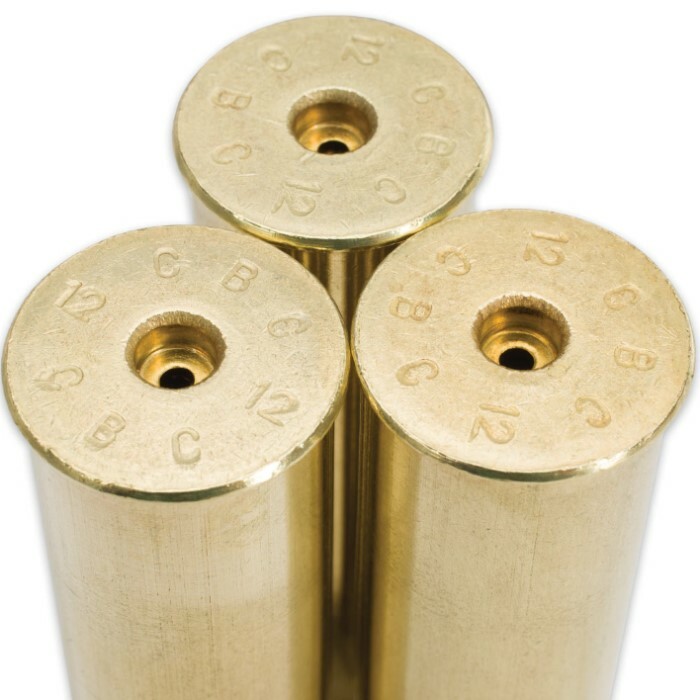 These top quality empty shell casings are ideal for use with traditional black powder and cork or fiber wads. Magtech brass shotshells require large pistol primers and are intended for use in 2 3/4" chambers. When choosing wads for brass cases, choose one gauge larger for proper fit. For example, use 11 gauge cards in a 12 gauge brass case and so on. Convenient box of 25.